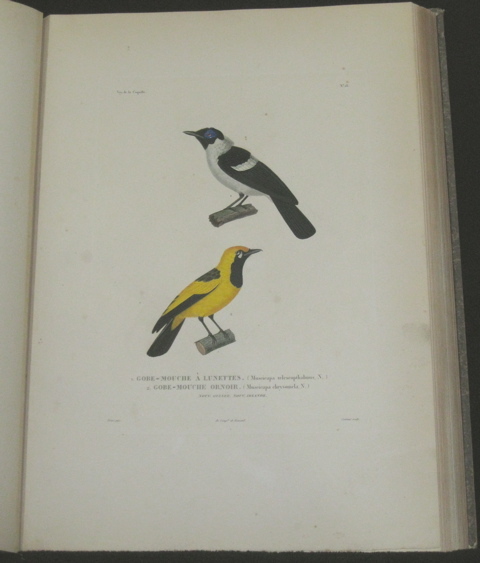 Duperrey, Louis Isidore. 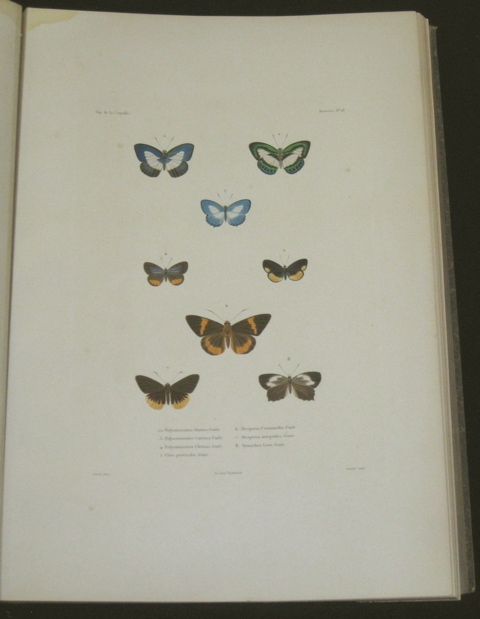 Voyage autour du monde, execute par ordre du roi, sur la corvette de Sa Majeste, La Coquille, pendant les annees 1822, 1823, 1824, et 1825 ... [Atlas Volume - Histoire naturelle, Zoologie]. 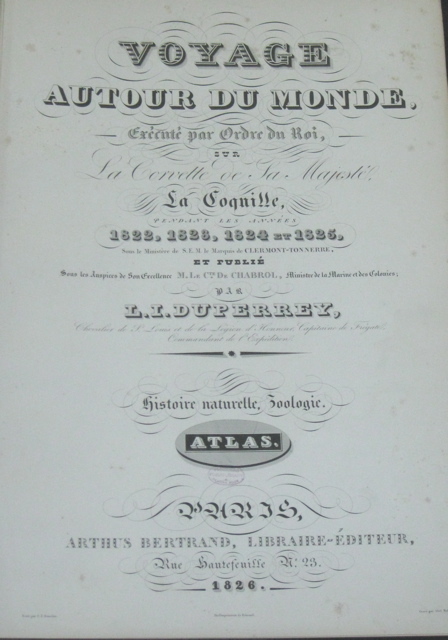 (Paris: A. Bertrand, 1826), first edition; folio (48.25 cm. tall), [title leaf], 140 (including 4 bis plates and two plates numbered 9 in the poissons section, of 157) plates including forty one of birds, all color; later quarter morocco rubbed and peeling, ex library with small hand stamp on verso of every plate, some age toning and speckling, a few dozen plates have dark margin or corner stains, 10 more are lightly stained, most of the damaged plates are of fish, none have stains extending into image.